How to Use Augmented Reality to Build Social Media Apps? How to Use Augmented Reality to Build Social Media Apps? What’s the first name that comes to your mind when someone talks about Augmented Reality? Is it ‘Snapchat’? 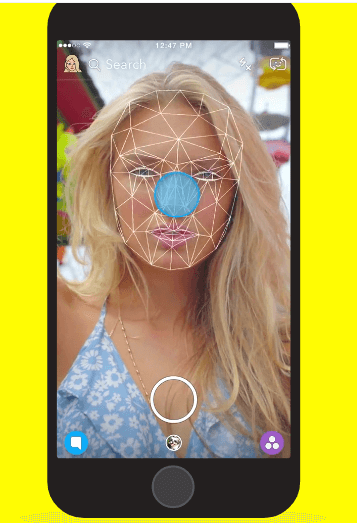 The buzz about this popular social media app Snapchat is so high that people relate Augmented Reality technology with it. In this blog, we shall first know about the basics of Augmented Reality (AR) technology. Later, we will move on to understand its real world implementation in form of use cases. Real world examples combined with proper understanding of AR will throw light on how to build augmented reality social media app. AR is a nascent technology that is groomed by tech giants like Apple Inc. and startups like Magic Leap (supported by Google). Virtual Reality was introduced in early 90’s and became quite popular since then. While Virtual Reality lets users experience a completely virtual world, AR takes users to real world while enabling them to experience virtual elements. Some people are mistaken that Augmented Reality effects can only be experienced using handsets or special eyeglasses. However, AR has become so common and reachable to people that it is now available on mobile apps through social media. 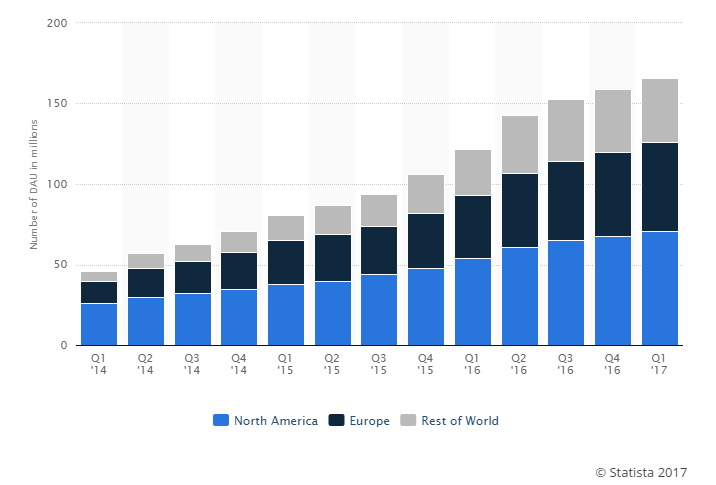 Facebook Camera Effects and Snapchat are most popular apps leveraging the potential of Augmented Reality. There is a lot of competition among social media apps. Each one of them is trying hard to improve engagement rate through increased interactivity. In this situation, leveraging the potential of Augmented Reality comes as a rescue. While Snapchat was a clear winner in the race of using AR for social media until Facebook came up with AR Camera Effects in F8 announcement. This is a sure shot sign of increased use of this technology in social networking platforms in the near future. Those who are in plans of developing a social media mobile app should definitely consider using AR to its advantage. This is because people are quite selective in choosing their social media accounts. Further, dominant names in the industry have become so advanced in terms of delivering satisfying user experience that it is difficult for newbies to reach those standards. Build the simplest interface for users to click photos inside app using phone’s camera and record real time videos. Allow users to add special effects to their photos or videos by integrating easily accessible editing tools. Programming of the app should be such that editing mode of photos or videos accepts text column for users to add captions. Integrate the feature for immediate sharing of freshly captured photos and real time recorded videos. Code this app based on your decision of whether or not setting time limit for your shared post to be visible to particular group of audience. Make the most of GPS technology in users’ mobile phones and develop geo-filters to make your social media app more interactive. The most popular and ephemeral messaging app is the first name in this high-tech world of Augmented Reality. Founders of this globally used social media app, namely Evan Spiegel, Bobby Murphy and Reggie Brown, aimed for more natural flow of interaction. Maximum sharing of images and video captured in real time with amazing filters using AR technology was its main attraction. 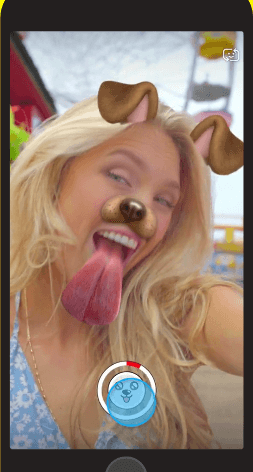 This social media app came to limelight with its innovative and one-of-its-kind puppy dog and flower crown filters to capture creative selfies. Addition of location specific stickers to your pictures and videos makes users’ posts more personal. Latest introduction of ‘World Stickers’ in April 2017 allows for the addition of Augmented Reality objects in any scenery. This enhances the overall demand for this augmented reality social media app and makes it more appealing to audience. Facebook believes that consumer-ready Augmented Reality glasses are bit far from everyday use, but instant and ready-to-use AR devices exist right in our pockets. Mark Zuckerberg said that modern smartphones are quite capable of supporting AR games (example: Pokémon Go). Apart from gaming, AR through phone’s camera can enhance photos and videos with the help of geo-location filters, digital effects with virtual objects placed against real world scenery. We are going to make the camera the first augmented reality platform. 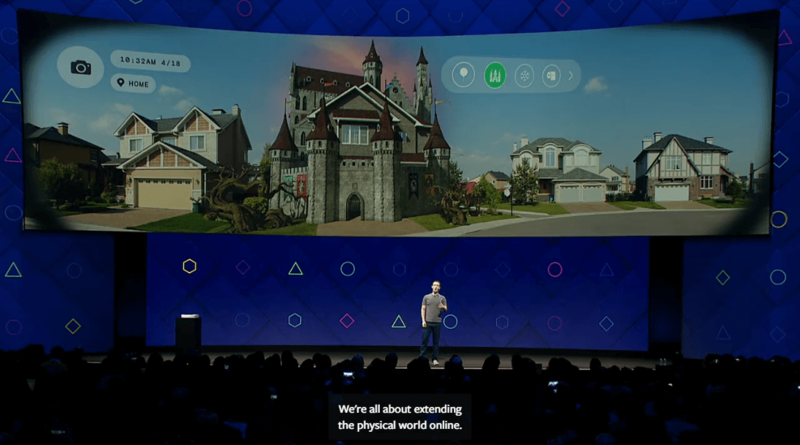 Facebook has a team dedicated to work on advanced Augmented Reality that can recognize individual objects in videos and seamlessly integrate digital, virtual or animated objects in real world to create 3D images. This closed beta is allowing developers to request access for AR Studio tool. It is the best platform for experts to experience AR effects using object recognition and GPS location. WWDC 2017 (Annual Meeting of developers by Apple Inc.) witnessed some major announcements, one of them being the introduction of ARKit. This tech giant sees the bright future of AR in enhancing users’ experience. It brings forth a new framework called ARKit for developers to experiment this technology at its fullest. Apple has opened up ways for developers to build apps that go beyond the restricted screen size of the device. It is possible for them to craft immersive AR experience for users that provides perfect blending of digital objects with real world. Soon after the introduction of ARKit by Apple in its WWDC event, Google came up with its own Augmented Reality framework for Android – known as ARCore. This comes as great news for Android developers who were eager to tap into augmented reality segment and build innovative social media apps using its unique features. Now as the platform is open to developers, Android will soon see the launch of mind-blowing apps that go well beyond user’s imagination. These apps would blur the line between real world and virtual world with objects to bring forth a view of mixed reality. Augmented reality social media and messenger apps have proven results of attracting users with its special effects. This technology has brought a new revolution among mobile phones users. They are now dreaming of living in a world that is at the intersection of their imagination and real scenario. Amidst such high-tech Augmented Reality revolution, introducing a social media app that gives users’ just what they expect could be a grand success. Want to know how can you leverage Augmented Reality technology for the benefit of your business? Explore the horizons of AR landscape with Hidden Brains, the most reputed Augmented Reality solution provider.